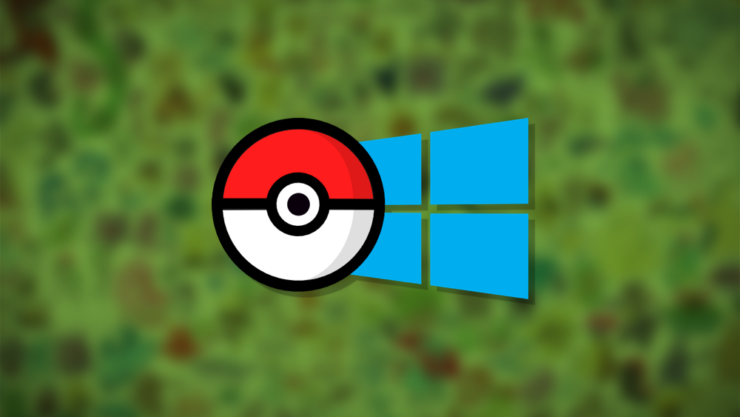 Pokemon GO for Windows 10 Mobile could be on its way as hinted in an official feedback report by Microsoft. At this point in time Pokemon GO is currently available on two mobile platforms – iOS and Android. The reason for this is mighty simple: both operating systems sit at the top two spot when it comes to market share. Hence it’s more profitable for Niantic to have its hit title on them. However, when it comes to Windows 10 Mobile, things aren’t exactly rosy at all. The developer behind Pokemon GO didn’t even hint at releasing the game for Microsoft’s mobile platform. This is quite alarming if you’re asking us, since users of Redmond’s mobile operating do actually exist, despite in small numbers compared to iOS or Android. We have received an overwhelming amount of feedback requesting that the Store provide this application. 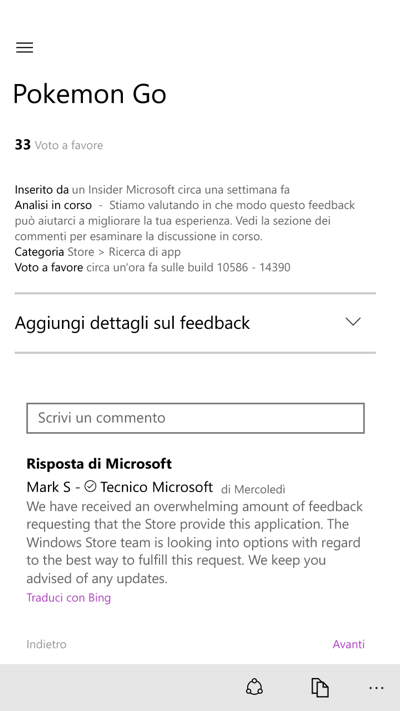 The Windows Store team is looking into options with regard to the best way to fulfill this request. We keep you advised of any updates. Now, in case you’re wondering, those ‘options’ probably includes a route where Microsoft will actually pay Niantic to bring its game to Windows 10 Mobile. This is not surprising at all as the company has done this quite a while in the past as well for a bunch of apps and games. Usually big developers pass up on small operating systems thinking they’re not worth the investment. And in Niantic’s case it’s absolutely understandable. Because creating something for a platform requires a good amount of resources, and there’s no way someone as big as Niantic would end up investing that much money on its own for a platform like Windows 10 Mobile. But in all honesty, we sincerely hope Pokemon GO makes it onto Windows 10 Mobile. It’s unfair why a subset of users is completely left out of the party just because they sit at the bottom when it comes to market share. And since Microsoft has heard everyone’s cries, here’s to hoping for some good news in the coming days. What do you think of today’s news? Do you believe Niantic should bring Pokemon GO to Windows 10 Mobile? Give us your fiery comments supporting the idea!